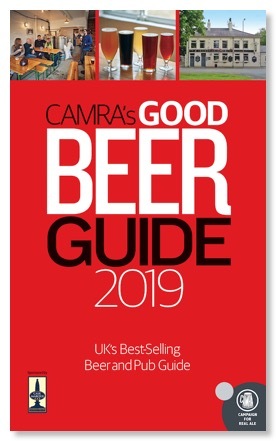 The 2019 Good Beer Guide is now out. Now in its 46th edition and features 4500 of the best real ale pubs in England, Scotland, Wales, Northern Ireland, the Channel Islands and the Isle of Man. The original independent guide to good beer and good pubs also lists every real ale brewery currently operating and their key beers. All entries are researched and selected by members of CAMRA branches. There are around 45 pubs, hotels and other outlets open to the public within our branch area in the new Guide. For more information, see the GBG page at the national CAMRA website.